Part 2 – Where Oh Where Could My Lost Dog Be Held in Cook County? Dog Be Held in Cook County, we wanted to share a prime example of hard it is to find your missing dog in Cook County. Harley went missing in Garfield Ridge. He was taken to Cicero Animal Control by the finder, transferred to Animal Welfare League for placement and then pulled by Trio Animal Foundation (TAF). Luckily TAF created a miracle by taking the extra few minutes to research the chip. They realized Harley didn’t need a new home; he needed to go home. TAF was his advocate! 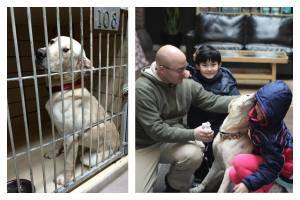 Harley’s story illustrates how broken the current animal control system is. We feel it is important for our fans to get the total picture of the problem. Why should you care? Let’s start with distinctions. Chicago Animal Control is often confused with Cook County Animal Control. Chicago Animal Care and Control (CACC) is located at 2741 S. Western Avenue in Chicago. Cook County Animal and Rabies Control (CCARC) has no facility. So you may find it as absurd as we do that all the rabies tag money, along with fines, fees, etc. fund Cook County Department of Animal and Rabies Control. The City of Chicago, along with the other municipalities in Cook County, are stuck funding their own services, mostly through taxpayers. City of Chicago Animal Care and Control is funded by taxpayers, fees, fines, and services rendered, etc. If you live anywhere in Cook County, you should demand best practices and better services from both organizations for the betterment of animals and residents alike. Here are some facts about (1) City of Chicago Animal Care and Control and (2) Cook County Animal and Rabies Control. – Has a dismal return to owner (RTO) rate of 15% for dogs. 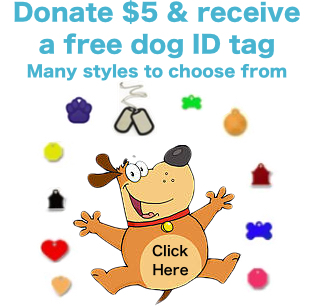 Some animal control facilities in Illinois have an over 50% RTO for dogs. – CACC has reduced the stray holding period from 5 days to 3 days meaning owned family dogs will be adopted, transferred or killed quicker. – Microchips are not registered to the owners at time of adoption and redemption. We believe that CACC should as a service registered the chips to the owners. We are amazed when we provide free scans at events; the majority of owners really don’t understand the nuances of microchips. – Rabies tag information is kept at their office. Office hours are Monday-Friday (8:30 – 4:30). So if your dog is taken to a vet clinic, City of Chicago Animal Care and Control, Animal Welfare League, etc. or kept by a Good Samaritan, on a Friday night; they are not able to research the tag until Monday morning. This creates more stress for the owner and owner’s dog and if the dog is held in a facility, an owner has to pay more money to reclaim his/her dog. – Cook County Animal and Rabies Control provide low cost microchip clinics. Chips are not registered to owners. Again, we believe that CCARC should as a service registered the chip for the owners. We are always amazed when we provide free scans at events; the majority of owners really don’t understand the nuances of microchips. – Cook County has no facility to hold dogs for Cook County. – There is NO database of photos/descriptions of animals being held in stray holding facilities in Cook County. 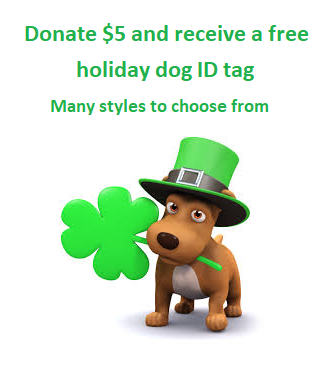 This entry was posted in Animal Control/Stray holding facilities, lost dogs, Other Posting Lost and Found Websites and tagged animal control, animal shelters, Animal Welfare League, CACC, Cook County, Cook County Animal and Rabies Control, lost dogs, lost pets, Stray holding facilties on December 16, 2014 by Susan.